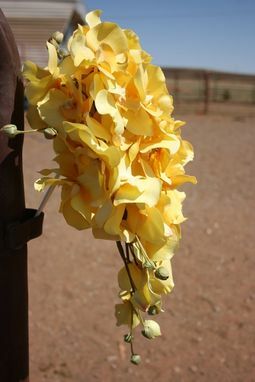 Demure yet striking yellow orchids takes center stage in this cascading silk bouquet. 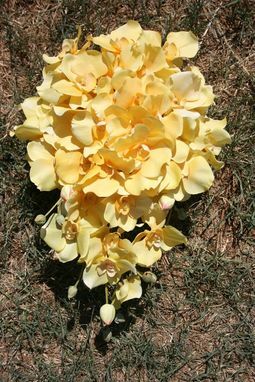 Dozens of fluttery butter yellow orchids make up this gorgeous bouquet which would be perfect for a wedding of any season. Measures approx. 11" in diameter and 17" long and is built on foam with a plastic handle. 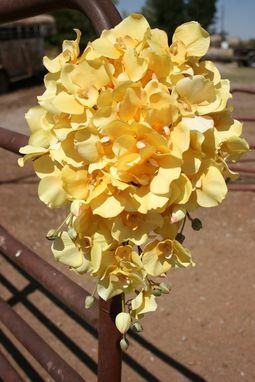 This bouquet is also available in cream, red, or white orchids, please just message me for details! Note: This item is made to order. Please allow approximately two weeks for the item to be made and ready to ship. Some materials pictured may not be available and substitutions may be made. Please feel free to contact me prior to purchase to ensure the exact materials are available. 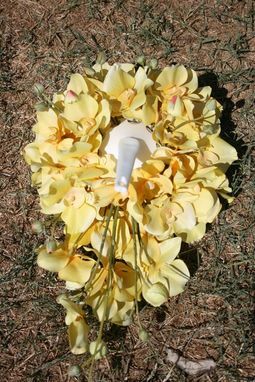 Bridesmaid bouquets, boutonnieres, corsages and other wedding flowers can be made to match or coordinate with this bouquet, please just contact me for more information! I can make a custom bouquet in your colors and flower choices. 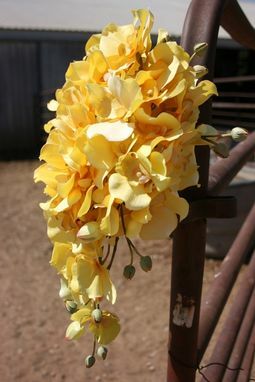 I work with you one-on-one to create your dream bouquet for your big day!